How far along is your system 700 project now? I couldn’t find anything regarding the sequencer so I started to lay it out in kicad now. I’ll upload everything somewhere when I finish it. I’m working on the System 700 in fits and starts, it’ll probably be a while yet still. I’m building a few other things at the same time – that DIY Eurorack Minimoog clone has been surprisingly draining on my bank account. I’ve looked at the sequencer, and I think I could make one, but I hesitated because I’d want to clock it (somehow) off my MC-4, and once you clock it externally you’ll lose the step timing variation, which to me is the special thing about it. Rather than copying the original, I think you’d be better off trying to emulate it with a microprocessor. 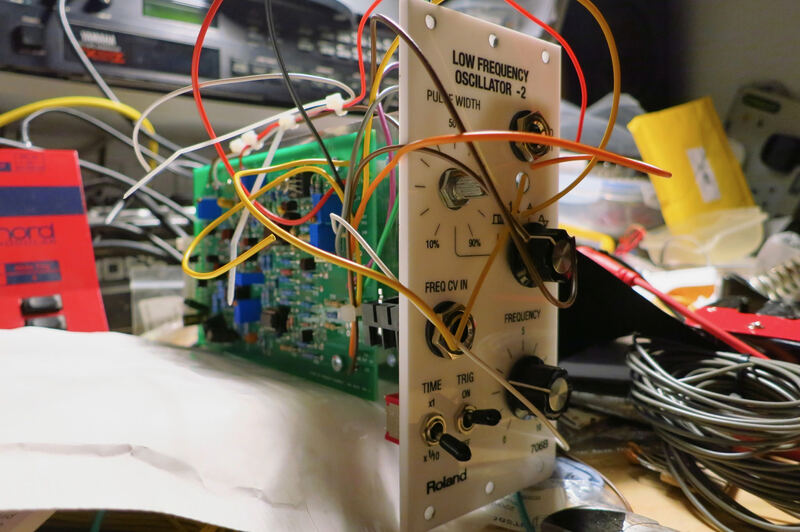 Ryk’s 185 sequencer is sort-of reminiscent of the 700 sequencer in a smaller but souped-up way, so in the meantime I was waiting for him to do his next revised run. New M185 coming this summer in 100m format and probably kit also. Includes some fun new features . . .